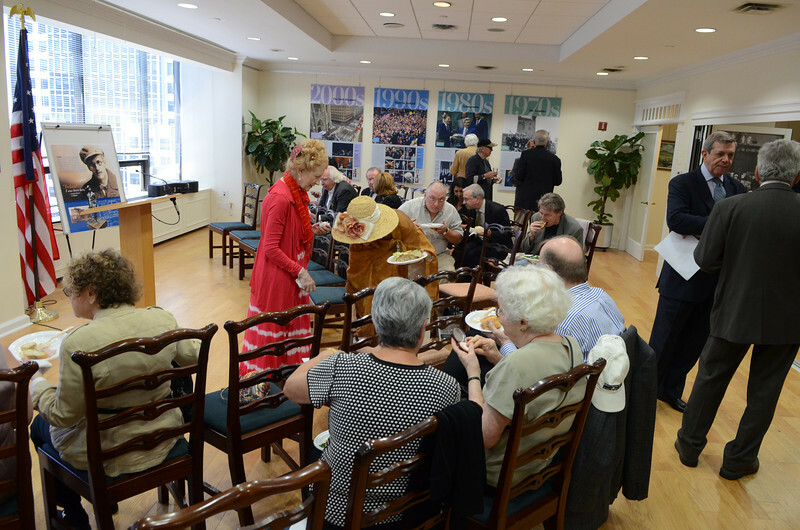 How it’s New York: Luncheon was served at The Irish Consulate. Although it’s 17 storeys above Park Avenue, technically the Consulate is Irish soil. How it’s Irish: Celebrating one of Ireland’s most magnificent writers, James Joyce. Bloomsday reports are coming in! What a great day it was in NYC– sunny, breezy, full of laughter and craic. Joe is the Edgar Award Winning author of the play Panic. Blood Relations, his collection of Ellery Queen’s letters, was published by Perfect Crime Books in 2012. James Joyce once said that all he demanded of a reader was a lifetime of devotion. Readers from around the world have readily offered up their devotion in the 90 years that have passed since Ulysses was first published. No day proves it better than June 16th, known in Joycean circles as Bloomsday. 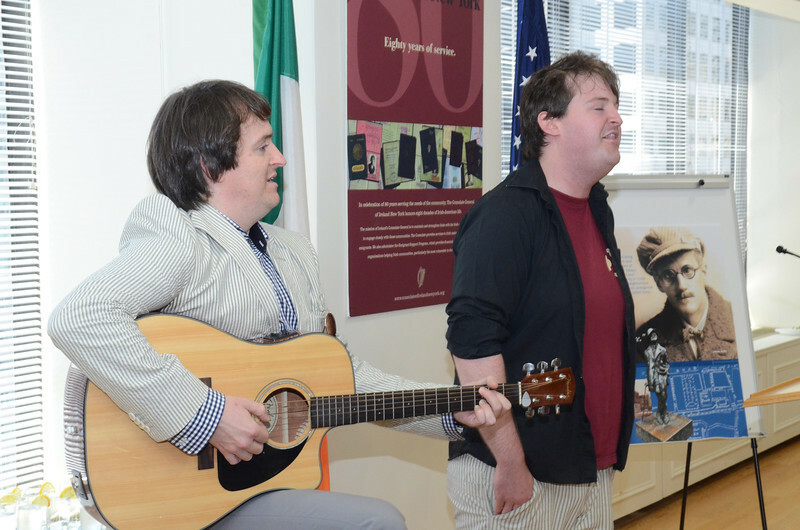 The Irish Consulate in New York City hosted its annual Bloomsday celebration on Friday, June 15th. Selections of Ulysses were read that mentioned specific pieces of music, followed by the songs themselves—-“The Rocky Road To Dublin”, “Love’s Old Sweet Song”, “The Croppy Boy” and others. This mix of words and music was a neat idea, one the author would have enjoyed: by all accounts Joyce possessed a serviceable tenor, and music was one of his passions. Readers included Maura Mulligan, author of the recently published memoir Call of the Lark Charles Powell, Stanley Goldstein and Miriam Wasserman of The American Friends of James Joyce Society; George C. Heslin, Artistic Director of Origin Theatre Company; and the incandescent Aedin Moloney, Artistic Director of Fallen Angel Theatre Company and the world’s premiere interpreter of Molly Bloom’s soliloquy. Singers included Mary Deady, Jacqueline Berstein, and a phenomenal pair of singing brothers, Moley and Eoin O’Suilleabhain. I was unfamiliar with the O’Suilleabhains before I entered the Consulate, and I can’t wait to hear more of them. Lunch and liquids were there for the taking, courtesy of the Consulate. What with the words, music, food and potables, one had the feeling that Joyce would have had a rare ould time.